Maureen Gallagher is the Michigan Managing Director and National Real Estate and Workers Compensation Brands Leader in the 13th largest US broker, AssuredPartners. Gallagher specializes in insurance placement, risk management and consulting. In addition, her passion for education inspired her — in 2003 — to establish Insurance Partners Academy, an educational company, where she serves as Director. Gallagher previously held the position of President and CEO of Acordia of Michigan (Wells Fargo), assuming that position after heading up her own agency, Gallagher Group, Inc., for more than ten years. She has been featured and profiled in numerous publications, and was named by Crain’s Detroit Business as one of the “Best and Brightest” and as one of “Detroit’s Most Influential Women.” Risk and Insurance recognized Gallagher as a “Power Broker” which identifies the best brokers in the country. In addition, Liberty Mutual honored Gallagher with the “Responsibility Leader Award” awarded to those insurance professionals that have demonstrated a commitment to their organization, profession and community. Business Insurance named Gallagher as one of their “Women to Watch” in 2011 and WorkCompCentral honored Gallagher with the Work Comp Laude Award in 2015. Gallagher was also the recipient of “Soaring Eagle Leadership Award” by The Executive Committee (TEC). TEC is an international association of Chief Executive Officers dedicated to increasing the effectiveness and enhancing the lives of chief executives and managing directors. The City of Louisville presented Gallagher with a key to the city for her commitment to leadership and education at the Women’s Leadership conference in 2014 where she was the keynote speaker. Gallagher is a Licensed Insurance Counselor (LIC), Licensed Claims Adjuster (LCA), Certified Insurance Counselor (CIC), Certified Workers Compensation Professional (CWCP), Certified Risk Manager (CRM), Certified Workers Compensation Advisor (CWCA), Registered Professional Liability Underwriter (RPLU), Construction Risk and Insurance Specialist (CRIS) and Certified Integrated Leave Management Administrator (CILMA). A frequent lecturer and presenter, Gallagher is also on the National teaching faculty for the National Alliance for Insurance Education and Research. 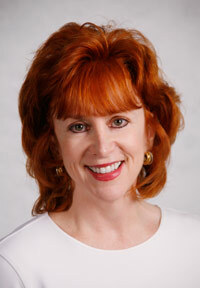 She is a featured writer for Insurance Thought Leadership and writes for Resource Magazine. Gallagher is a member of the American Bar Association and the Society of Trainers and Educators. She is the creator of the Property Risk and Insurance Specialist (PRIS), Certified Workers Compensation Counselors (CWCC) and Real Estate – Certified Insurance Professional (RCIP) certification programs as well as Producer Peak Performance training. An avid long-distance runner, cyclist, swimmer, competitive stair climber, certified exercise/spinning instructor, USA Cycling, Road Runners Club of American and Ironman Coach. Gallagher has qualified several times for the Sprint and Olympic distance USA Triathlon National Championships and was named one of the “50 Fittest CEOs” by Crain’s Detroit Business. She has raised over $260,000 for charities through her participation in endurance events.